It's not an incoming but Newcastle United could be in line for positive transfer agreement | The Transfer Tavern | Where football transfer rumours fly or die! It’s going to be busy for the Toon faithful this summer in the Transfer Tavern. Rafa Benitez is looking for reinforcements to improve his squad ahead of their push for the European spots next year. In order to fund some of those transfers, the Magpies are looking to offload some players that haven’t done so well. One of those names that looks to be on the way out of the club Chancel Mbemba. With Florian Lejeune and Jamaal Lascelles entrenched as the first-team centre-back pairing, it seems Mbemba’s career in the north-east is about to end. According to Portuguese paper O Jogo via Sport Witness, Porto and Newcastle are expected to come to a deal ranging between £5-9 million. The report states that the deal should go through in the next few days, with the defender set to sign a four-year deal with the Portuguese club. When the former Anderlecht man joined the club, he made an instant impact making 33 starts in the Premier League. Since Rafael Benitez joined in the second-half of the 2015/16 season, however, Mbemba has fallen out of favour at the club and has only made 21 appearances in the Championship and Premier League combined over the last two seasons. 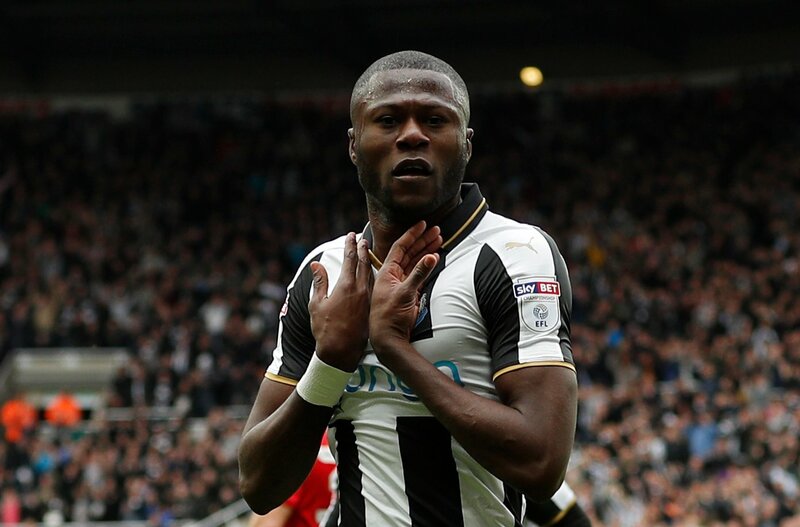 With the club needing money to fund transfers, selling Mbemba seems to make ideal sense. If his fee can go towards the club financing a move for a forward, the Toon faithful could finally have someone to get excited about. So Geordie fans, will you be sad to see Mbemba go?